Modern and space-saving. 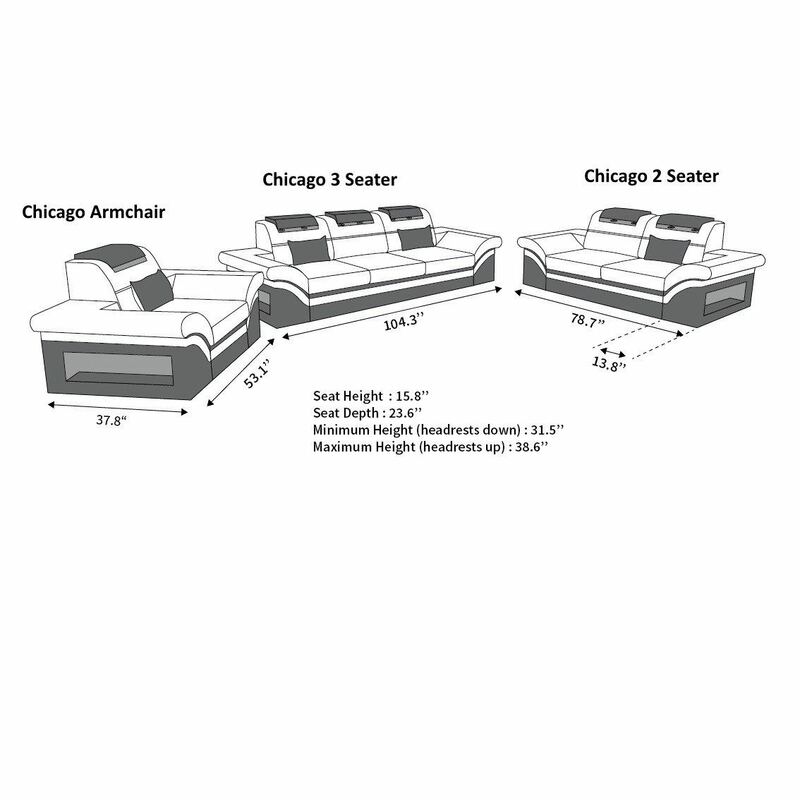 The fabric two-seater Chicago is impressive with these features and looks good at the same time. It is an elegant alternative to a big sectional sofa. Whether alone or in combination with a matching armchair or coffee table, it cuts a good figure in every version. With its gently curved armrests and decorative stripes, it looks chic and elegant. If guests want to stay overnight, you can use the practical and comfortable bed function of the two-seater. Even with the other half, the fabric sofa Chicago can't fail. Multi-adjustable headrests and high-quality spring core padding ensure that you and your guests feel at home. In the sides of the frame you will find practical storage space. There is also battery-powered LED lighting with colour change. After all, this sofa deserves to be staged.